A very generous philanthropist and an exceptional entrepreneur, Huang Rulun is the head ofprivately held real estate group ‘Century Golden Resources Group’. The top Chinese philanthropist has a total asset of $4 billion as on May 2015 according to Forbes and holds the 527th position in the world Billionaire List. A large part of his wealth has come from the Century Golden Resources Group. Huang Rulun was born in 1951 in a rural family in Fujian. The impoverished condition of the family made Rulun understand the value of money at very young age. It was in his spirit to never give up on the dream of becoming an entrepreneur. He started a small business in Fujian before reaching the age of 35. In 1986, he used this self earned money to travel to Philippines to make a fortune. In 1991, after making a decent wealth, he decided to return to China to establish the Century Golden Real Estate Company in Fuzhou becoming the top private real estate tycoon in Fujian. Rulun worked strenuously to make his company what it is today. From 1991 to 1995, Rulun took renovation and development projects in Fuzhou in Fujian province and in Nanchang City in Jiangxi province. In 1999, Rulun developed his company in Beijing. In the ‘Century Nice Garden’ project in Beijing, he applied the new butterfly structure design for the first time bringing a new era in Beijing’s traditional residential industry. In 2012, Rulun’s Real Estate Group ranked 27th on the list of real estate companies having 10 billion Yuan sales volume in China. Huang Rulun is an exceptional philanthropist. Rulun respects money and understands its importance for sustenance. “It is important to benefit more people than to leave money to one’s own children” Rulun has commented on many occasions. At present, Rulun’s real estate group has 7 affiliated groups in Beijing, Yunnan, Chongqing, Fujian, Shanghai, Hunan and Guizhou with over 50 enterprises and more than 20,000 employees. His group has invested in 20 five star hotels and 10 shopping malls. Revenue recorded in 2013 is a whooping $5 billion. Mr. Rulun has also stake in New China Life Insurance and the Bank of Beijing. In October 2014, Century Golden Resource Group agreed to pay a hefty $32 million for a 10% stake in newly opened Fuzhou Airlines. 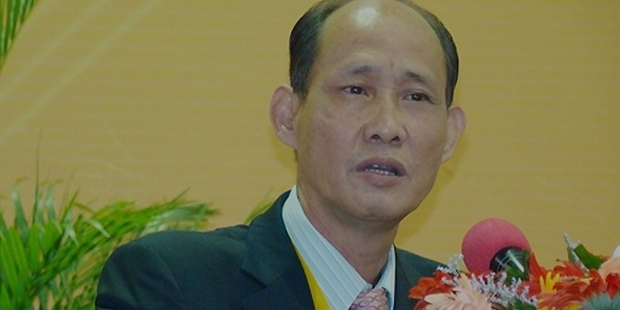 Huang Rulun also serves as the Vice President of China General Chamber of Commerce. He has promised support in the construction of an art museum in Tsinghua University in Beijing. In 2012, Rulun donated 580 million Yuan, becoming top philanthropist in China according to the Hurun Charitable Rich List. A well known figure from Hong Kong has commented on Rulun, “If we say that many entrepreneurs have an agenda when donating to charity, then we can say that Rulun has completed stepped out of this strange circle”. Huang Rulun is a descendent of Song Dynasty’s Confucian, the culture and tradition of which is evidently visible in his life. Rulun’s life is an epitome of principles. He says, “Do not lie, do not cheat, do not harm, do not coax people and do not cheat”. These five principles are not just Rulun’s criterion but he expects his family and staffs to follow these as well. A man committed to family, Huang Rulun lives with his wife and children in the country capital Beijing.